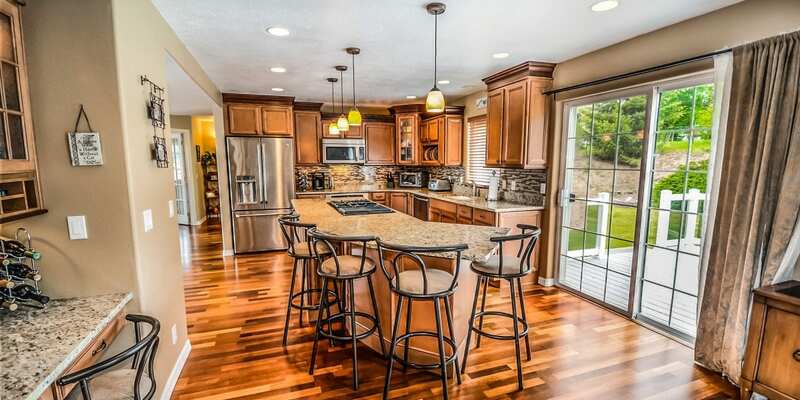 Kitchen remodeling is one of the best investments any homeowner can make. Studies have shown that remodeling your kitchen provides a significant return on your investment, making it extremely cost-effective. But to ensure that you’re making the best decisions, it’s helpful to stay on top of the latest trends. We’ve compiled some of the hottest trends of 2018 to make sure that not only are you making the best choices for your pocketbook, but your kitchen is looking as fresh and attractive as possible. Technology is taking over just about every element of home remodeling, and your kitchen is no different. Smart appliances, devices, and custom options are making their way into kitchens in all kinds of ways. Check out motion sensor faucets, smart refrigerators, and programmable coffee makers. These devices can not only increase the value of your kitchen, but also make your life much easier. When it comes to planning your kitchen’s color scheme, white is an ever-popular option. With its simple lines, clean appearance, and timeless appeal, white and grey are expected to stay popular. That having been said, black is becoming more acceptable in homes across the country, adding a bit of variance to the standard choices. When it comes to countertop options, more and more homeowners are shifting to quartz and marble over granite. While each of these options are extremely attractive and durable, current styles simply favor the cleaner, more modern appearance of marble and quartz. If you’re looking at the trendiest sink options, consider switching from 2017’s farmhouse sink in favor of the classic undermount sinks. On that same note, be prepared to make some color choices when it comes to your appliances and fixtures. Homeowners are increasingly getting creative with both the finishes and colors of their accessories to offset their kitchen’s paint job.